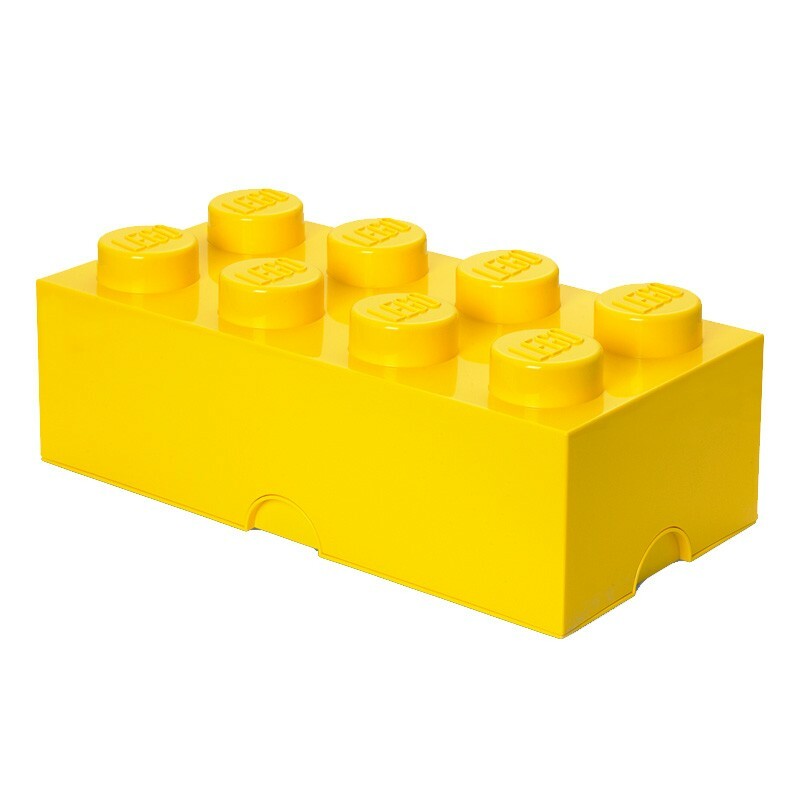 Make tidying up a more exciting prospect with the Lego Storage Brick - Yellow! These vibrant scaled-up Lego bricks stack in the same way as the originals, however with their hollow centres they are also a fun storage solution! Available in two sizes - the square 4 stud brick and the rectangular 8 stud brick - these stackable boxes would make a playful addition to any living room or child’s bedroom. What better way to store your Lego pieces than in a giant Lego brick? Colourful, fun and hopefully a standing-on-Lego-brick prevention tool, these fun-filled storage boxes can also hold trinkets, photographs, arts and crafts, jewellery. These oversized toy bricks add to the Legoprinciples of fun, play and creativity, by allowing you to create a fun construction of storage boxes. These colourful storage crates would also make a fun gift for anyone who loves Lego and colourful design! See the other colours on the right hand side of the page!